Peepers of Severna Park was well staffed, and although it was busy I never had to wait long for care. Eachperson I interacted with was helpful and knowledgeable. Peepers of Severna Park was well staffed, and although it was busy I never had to wait long for care. Each person I interacted with was helpful and knowledgeable. Dr. Frankford was great she was very nice and thorough. I would definitely recommend her she is great. Dr. Gina was great. She is friendly and knowledgeable. She also took the time to answer my questions. Awesome visit! Was in and out very quickly, the staff was very attentive, and the doctor was kind, personable, and knowledgeable! My visit was extremely pleasant from start to finish! The staff was pleasant and helpful and Dr. Frankford was professional and friendly. She answered my questions and tool time to explain my test results. I scheduled an appointment for my husbandfor next week. So I definitely recommend them to others. Love her! I keep going back, even though their location is nowhere near work or home. She’s very competent, has great bedside manner, and their office is very clean and modern. I also always have tons of frames to choose from,which is great for someone who is picky about that. They also have evening and weekend hours too, which is really great for someone who lives further away and can’t make it anywhere by 5-6pm on weeknights. Dr. Frankford is amazing! I highly recommend her! The whole process from start to finish was friendly and professional. Dr Frankford does a quick, but thourough job. Her staff is also competent, professional and friendly. Their new office looks great! She and her staff are very professional and have great customer service skills. Caring and comfortable. This practice was a pleasant surprise after some of the others in the area. It was a 30 minute drive from my home - but worth it. I really enjoyed my visit to her office. All of the equipment appeared to be state of the art. from the moment I walked in the door, everyone was very professional. my wait was short. I was totally impressed with Dr.Frankford. I have never gotten such an extensive eye exam. Her explanations were clear, concise, and easily understood. Very through examination.Went for floater problem in left eye.Recommended retina specialist for a followup. Staff vey friendly. My experience at Peepers (Severna Park) was great! I immediately was attended. I had an appointment around 3PM, and It was like they were expecting me. After my pre-evaluation, I was seen by Dr. Frankford and she is full of energyand answers every question you have with ease and patience. The staff that helped pick out glasses / lenses /contacts are very honest and there to help you with the entire process and make sure you are not ripped off. So definitely am glad i drove about 30 mins to this office! She was very knowledgeable and determined to help me with my visions issues. She did every test she could to get down to the rot of the problem! I like this office. 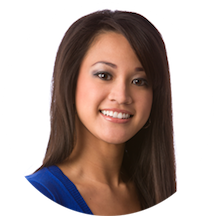 Gina is an excellent optometrist, as well as a friendly, caring individual. I enthusiastically recommend her to everyone who cares about their eyesight. Dr. Frankford and the entire team at Peepers, Severna Park were great! She will be the only optometrist I see in the future and I understand now why she is so highly rated!! Dr. Gina had an amazing personality. She saw me right away. She was very informative and explained step by step the procedures she was going to perform on my eyes.